Today we start a 4-week series for the holidays, where we will be reviewing, recommending and giving away four great audiobooks. We believe these audiobooks are great to listen to all year round, but we know this is the time of the year when people look for unique and meaningful gifts, so this is certainly the right time to introduce you with these audiobooks, all published by Simon and Simon Audio. 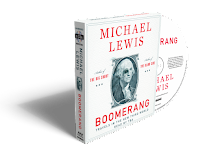 Our first audiobook on this series is Boomerang by Michael Lewis, read by Dylan Baker. Just like his last book, the Big Short, Michael Lewis takes the role here of a tour guide. This time he's leading a guided tour through some of the disparate places hard hit by the financial tsunami of 2008, like Greece, Iceland and Ireland. His role is almost Sisyphean as this is incredibly difficult to understand these events, not to mention putting them in some sort of coherent and clear context and even making you laugh once in a while when listening to it. Yet, Michael Lewis succeed to do it. Just like he did in the Big Short, he takes big global events and present them through small personal stories that helps us to understand how the hell these countries got to this situation. What amazes me every time I listen to his audiobooks is how easily misconceptions are becoming common due to the belief that the people that are making the decisions are reasonable people and know what they do. Even though we get to learn time after time this is not the case we keep believe in it. This is why I won't be surprised if one of the next audiobooks of Michael Lewis will be on another crisis that follows the same patterns of the financial crisis he describes in the Big Short and Boomerang, this time environmental one. Actually, it might be that he's working on it as we speak..
Bottom line: If you want to understand the news coming from Europe and what's really going on there, listen to Boomerang! From the #1 New York Times bestselling author of The Big Short, Liar’s Poker and The Blind Side! The tsunami of cheap credit that rolled across the planet between 2002 and 2008 was more than a simple financial phenomenon: it was temptation, offering entire societies the chance to reveal aspects of their characters they could not normally afford to indulge. The Greeks wanted to turn their country into a piÑata stuffed with cash and allow as many citizens as possible to take a whack at it. The Germans wanted to be even more German; the Irish wanted to stop being Irish. The trademark of Michael Lewis's bestsellers is to tell an important and complex story through characters so outsized and outrageously weird that you'd think they have to be invented. (You'd be wrong.) In Boomerang, we meet a brilliant monk who has figured out how to game Greek capitalism to save his failing monastery; a cod fisherman who, with three days' training, becomes a currency trader for an Icelandic bank; and an Irish real estate developer so outraged by the collapse of his business that he drives across the country to attack the Irish Parliament with his earth-moving equipment. Lewis's investigation of bubbles beyond our shores is so brilliantly, sadly hilarious that it leads the American listener to a comfortable complacency: Oh, those foolish foreigners. But when Lewis turns a merciless eye on California and Washington DC, we see that the narrative is a trap baited with humor, and we understand the reckoning that awaits the greatest and greediest of debtor nations. "No one writes with more narrative panache about money and finance than Lewis." Disclosure: We received a copy of this audiobook from the publisher (Simon and Simon Audio). We're giving away two copies of this audiobook, courtesy of the publisher, Simon & Simon audio! How you can win? Very simple. All you have to do is to retweet this post on twitter with the hashtag #boomerang at the end of your tweet. We will have a raffle on Friday, December 14, 5:00PM EST between all the readers that will retweet by then. The winners will be announced the following day. I'm happy to update you that the second edition of Spit That Out!, the wonderful guide for parents by Paige Wolf is out for sale now. 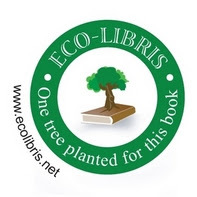 Not only that, but our collaboration with the author continues with this edition and one tree is planted with Eco-Libris for every printed copy sold. We're not the only ones who think this is a great book. PEOPLE.com called this book "a realistic guide to keeping your kids safe and healthy," and Babble.com said it is "…a must read for eco-concerned parents." The new edition can be a great gift for the holidays for new parents or those who are about to become ones. Spit That Out! 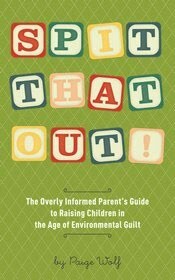 The Overly Informed Parent's Guide to Raising Children in the Age of Environmental Guilt has received positive attention from PEOPLE.com, The Huffington Post, Pregnancy & Newborn, Daily Candy, and more. An updated edition of the book, which turns to everyday and celebrity moms as well as experts to present facts, debunk myths, and help parents stay on a reasonable and responsible course without losing their minds, will be available for sale this December. In the new edition, readers will find the story of the author's transition to cloth diapers, an updated discussion of plastics, and the newest resources for green deals and discounts. The book is available in paperback and Kindle editions at Amazon.com and select retailers across the country. Learn more and follow the blog at www.spitthatoutthebook.com. 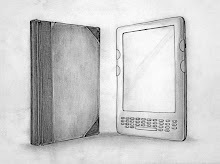 The book is available both at electronic and paper formats on Amazon.com. 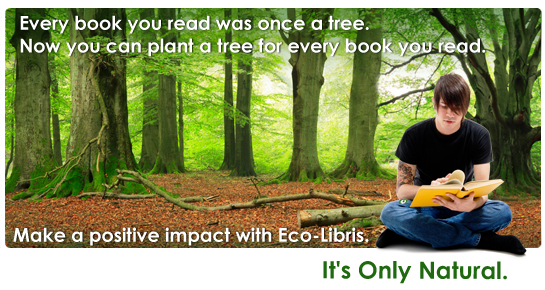 And if you want to further educate yourself in Environmental Studies, look into online classes.